Based on the nomenclature established by Elias Landolt, the duckweed community has adopted a four-digit numbering system to identify strains, or clones. For historical reasons, Landolt used numbers 6500-9999 for his original collection. The duckweed collection at the Chengdu Institute of Biology (CAS) has assigned numbers 0001-1100 to their clones, some of which are available at the RDSC. Numbers 1100-6499 are available to the entire duckweed community and will be administered by the RDSC, as recommended by the ISCDRA. 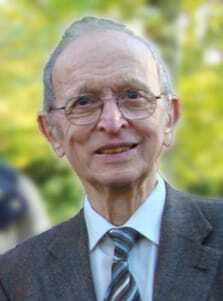 ​​Elias Landolt (1926-2013), the father of duckweed biology. His extensive collection of duckweed strains formed the basis of the RDSC inventory. 1. Download and fill out RDSC Clone Registration Form. 2. Email form to ruduckweed@gmail.com. We ask that authors receive registration numbers before submitting manuscripts and that reviewers enable citation of such clone numbers in the manuscript. All institutions with more than 30 clones of duckweed should inform the RDSC and make their lists publicly available, at least on the RDSC website. *Additional information may be requested. The RDSC reccomends some form of molecular genotyping of respective clone to assist in identification. **Registration forms will be posted publicly on ruduckweed.org to make information readily accessible to the community).